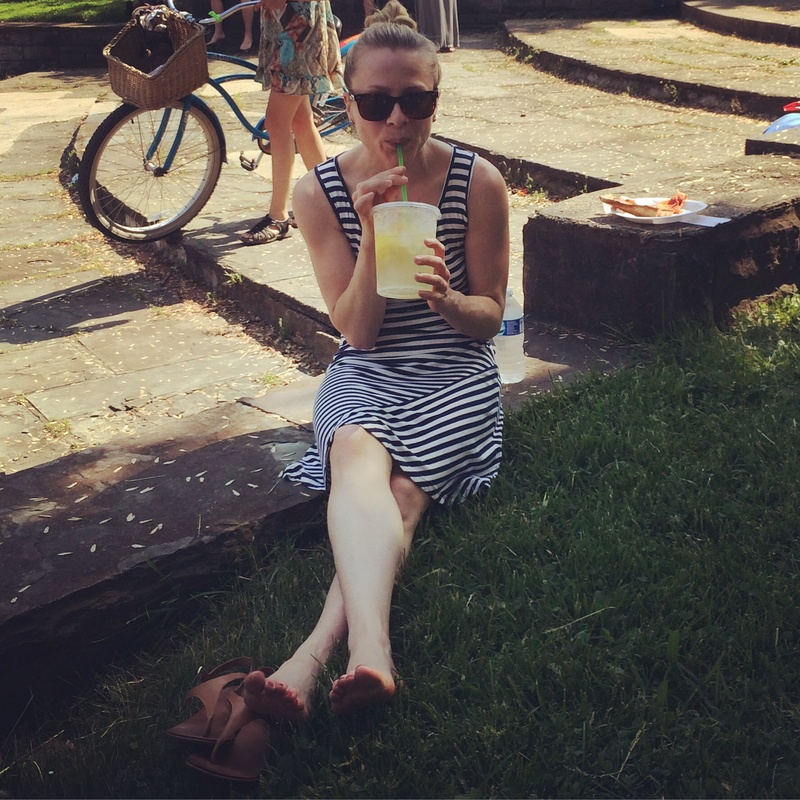 We did more play than work this past weekend, but how could you not when it felt like summer in the ‘Burgh?! 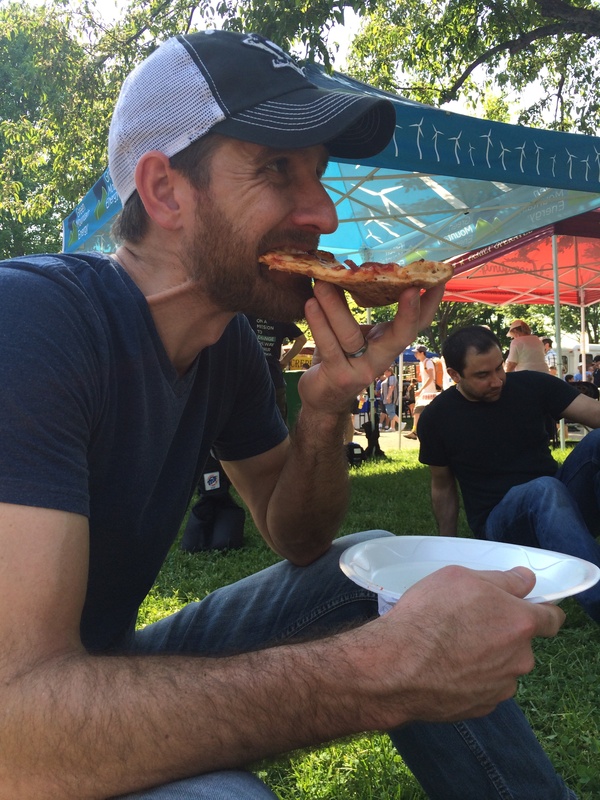 Mark did his part in the Steel City Pizza contest that was held in Arsenal Park in Lawrenceville. No pizza for me, but I did drink a tub of fresh lemonade. 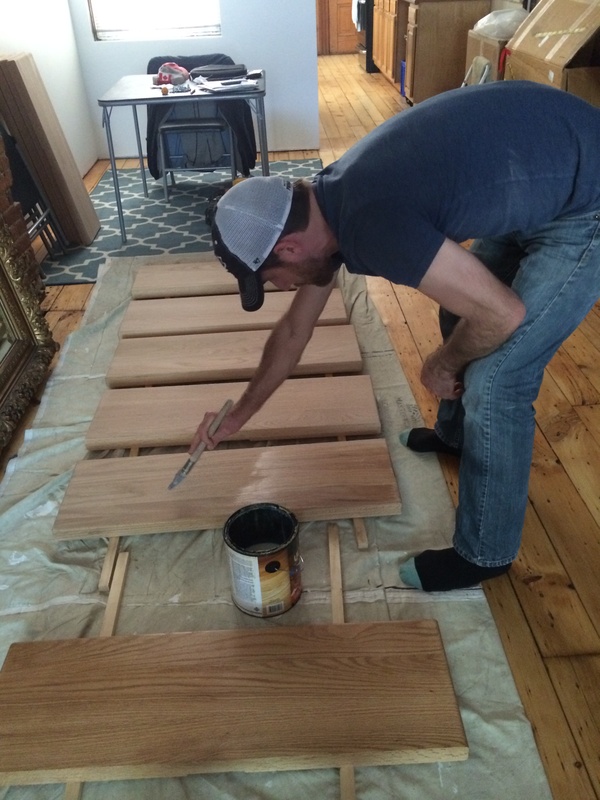 I went out for a girls night and Mark started sanding our stair treads. 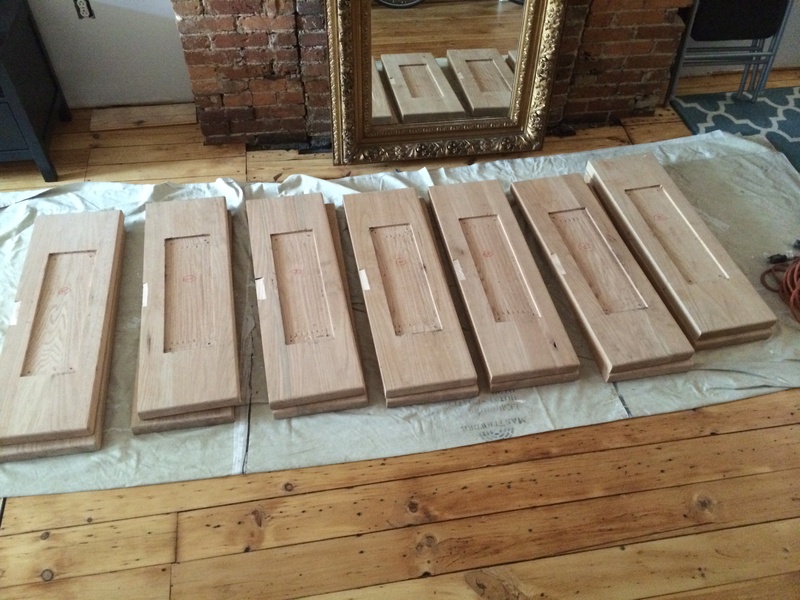 We’re giving each one a light coat of polyurethane. Once we get them back on the staircase, we’ll put the railing on. You know I can’t write a blog post now without showing off my baby girl niece! 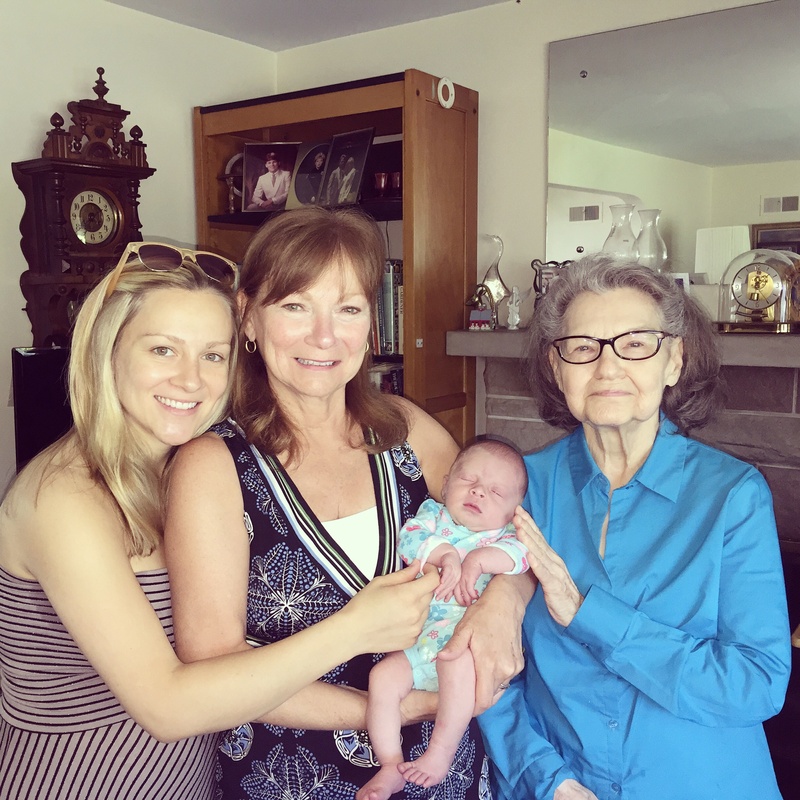 4 generations in this photo…my Nunny, my mom (now Mimi), Mama Kelly and Lily. You know Lilypad will be beautiful…just look at these 3 stunning women! → Eat on the concrete!